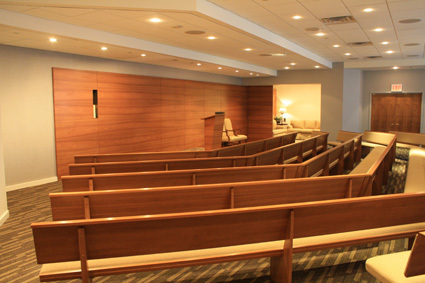 Plaza has two chapels and a smaller room for intimate gatherings. 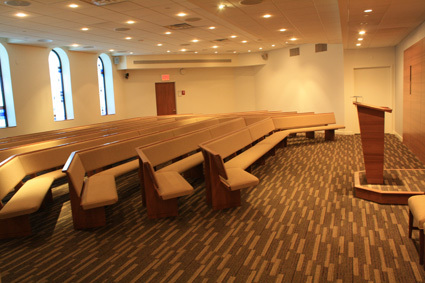 Renovated in 2012, our second floor chapel is available for large services with overflow extending into our small chapel for additional seating. 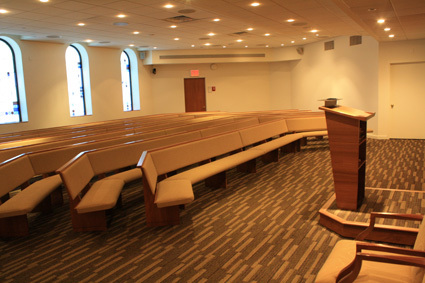 Webcasting is available from this chapel. 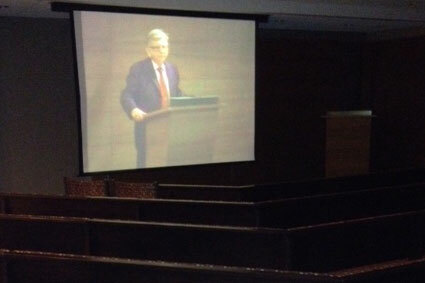 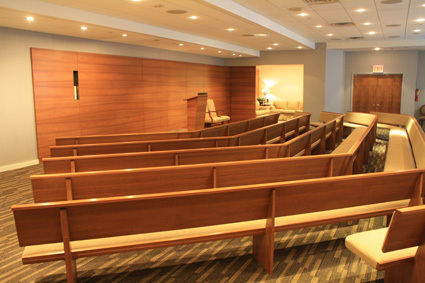 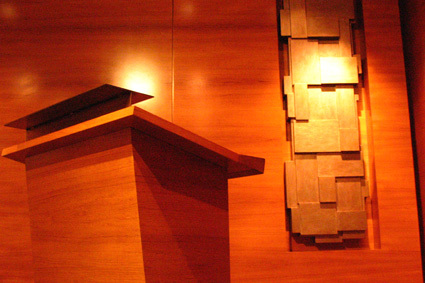 Webcasting capability is available in this chapel with artwork by renowned artist Tobi Kahn..